Many home or business owners don't realize how important HVAC size is to heating and cooling processes, and those that realize size matters often think it's as simple as getting a bigger unit for a bigger space. In reality, matching an HVAC unit to any space requires a complex formula. Most residential HVAC systems could benefit from resizing, says the US Department of Energy. HVAC systems that are undersized, or not powerful enough for the given space, run at full capacity much of the time without providing optimal comfort levels in the home or business. Oversized systems may short cycle, which is inefficient. 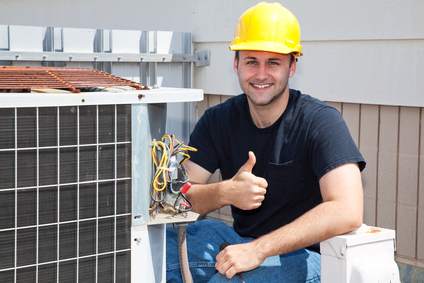 Either way, home or business owners are losing money via utility costs and are more likely to experience additional HVAC repair needs when compared to a building equipped with the right system. The American Society of Heating, Refrigerating, and Air-Conditioning Engineers cautions against simple rule-of-thumb approaches to HVAC sizing. Every building is unique: Construction materials, duct design, and interior space shape and size are all taken into account when professionals recommend an HVAC system. According to the US DOE strategy guide for energy efficiency and renewable energy, during new construction, a best practice is to select an HVAC system according to size and construction, and then design duct work to match the system. In many cases, new HVAC systems are being installed in homes or businesses where duct work already exists, making it a more complex process to select a correct system. The DOE and ASHRAE recommend using Manual J load calculations, along with other information, to determine the right HVAC unit for any space. Manual J loads consider three factors: heating load, sensible cooling load, and latent cooling load. Professional HVAC installers also consider outdoor temperatures for a location, average indoor temperatures for a space, and airflow estimates in cubic feet per minute. Because heating and cooling loads are very different, the bulk of the decision process in the lower 48 states is based on cooling loads. Cooling generally requires more blowing power, so the DOE recommends that heating load capacity not exceed 140 percent; although excess heating capacity may diminish efficiencies slightly in colder months, it helps meet cooling needs for better warm-month HVAC performance. Selecting an HVAC system can involve complex calculations, and many existing HVAC units are sized wrong for the space they heat and cool. Changes to the home, including remodeling, adding insulation, or installing new windows, could change your HVAC needs. Whether installing a new unit or replacing an old one, getting professional advice about your current needs ensures your new system is as efficient and cost-effective as possible.